Please read our new Privacy Statement before continuing. Formula One has an extra race on its calendar this year: to find new drivers for its billions. Private equity backer CVC Capital Partners is ready to speed off after nearly 10 years of turbocharged returns, while 84-year-old patriarch Bernie Ecclestone may not be doing enough to tune high-tech motor racing’s commercial chassis. CVC, which announced its initial investment in 2005, already has collected more than five times its original $1 billion majority equity investment from dividends and stake sales, according to the Financial Times. A decade exceeds the typical run for a buyout firm. CVC has unsuccessfully tried to take F1 public and sold off slugs instead. Stephen Ross – owner of the U.S. National Football League’s Miami Dolphins – is now tag-teaming with Qatar to buy a controlling stake for up to $8 billion. The oil-rich Gulf nation has a taste for expensive trophies, whether they’re works of art or soccer World Cup tournaments. 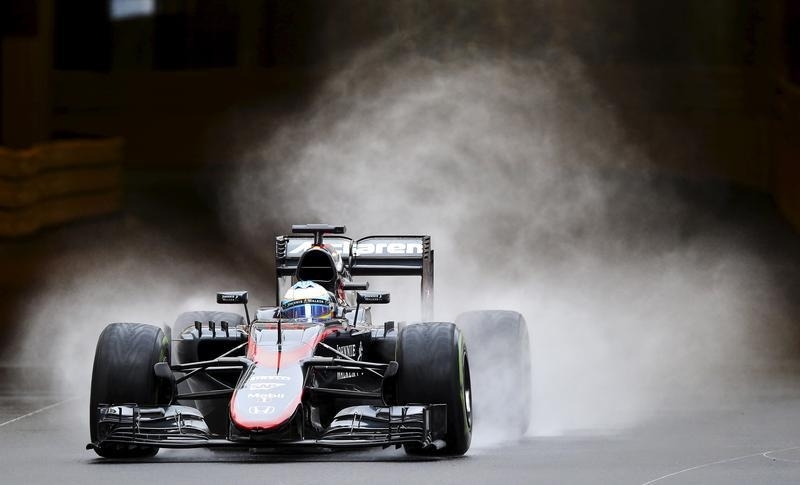 Formula One, which generated $1.7 billion of revenue in 2013, would be another. The U.S. angle, however, could deliver the biggest payoff to investors and drivers in the racing circuit, where upstart teams often struggle to compete despite sinking perhaps $100 million a year into the effort. Audience engagement nous could boost interest, attendance and the value of television rights for Formula One in a market where it’s not yet notably successful. Expertise also could trickle down from the NFL or even from Nascar, which although perceived as down-market compared with F1, is wildly popular. The United States also knows a bit about how to keep lesser sports teams funded and therefore competitive. The controversial Ecclestone almost certainly won’t go quietly, if at all. New owners might even want him driving, or at least keep him riding shotgun. After all, a big part of Formula One’s value is its history. Nostalgia surrounding marques like Ferrari, Mercedes and Lotus captures the imagination of longtime fans. Even its sometimes murky financial past, including links to Morgan Grenfell and Lehman Brothers, can elicit a certain wistfulness. A Qatari-U.S. partnership at the wheel might be just what Formula One needs to both preserve the past and steer it toward a more lucrative future. Breakingviews is not responsible for the content of external internet sites. The owner of the U.S. National Football League’s Miami Dolphins is joining forces with Qatar to buy a controlling stake in Formula One in a deal that could be worth up to $8 billion and inject new leadership into a sport facing falling TV audiences and ticket sales. Dolphins owner Stephen Ross is looking to acquire a 35.5 percent stake in the global motor-racing business from private equity fund CVC Capital Partners through his investment vehicle RSE, a source familiar with the matter told Reuters on June 23, adding that a deal could be done within six weeks. CVC has sold down its holding from 63 percent in 2012, bringing in other investors in deals that at the time gave the business an enterprise value of $9.1 billion. The commercial side of Formula One is run by 84-year-old British billionaire Bernie Ecclestone, who has turned the sport into a global money-spinner in more than four decades of deal-making. Ecclestone told Britain’s Times newspaper that three or four potential bidders had emerged. “I have no idea whether any of these people have got closer with this, but CVC is in the business of buying and selling companies,” he said. © Reuters News & Media Ltd 2019. All rights reserved.